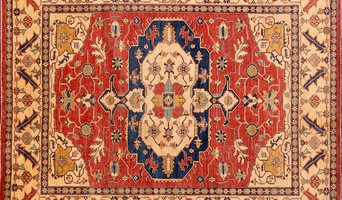 Morry’s Oriental Rug Bazaar features an outstanding collection of rugs from Persia (Iran), India, Pakistan, China, Turkey, Afghanistan, Tibet, Nepal, Romania, Egypt, Morocco, Armenia, Belgium and The United States of America. We stock sizes ranging from 1’x1′ to 15’x24′ and can make any custom-size rug of your choice with your color schemes. Our area rug collection includes hand knotted rugs, hand tufted rugs, hand loomed rugs, power loomed rugs, hand hooked rugs, braided rugs, needlepoints, petite points, chain stitched rugs, Kilims, Soumaks, Dhurries, Tapestries and Navajos. An area rug serves many purposes — it adds comfort to a rough floor, helps define the spatial layout, and brings in nice touches of color, personality and texture. Because they take up a lot of surface space, finding a design that complements and enhances your current decor is key. Of course, you can also design a room to match a stunningly beautiful rug! Whether you’re looking for a contemporary kitchen rug, textured sisal rug or an indoor/outdoor rug for your entry, Morry’s has something for every taste serving Sacramento, Folsom, El Dorado Hills, Roseville, Rocklin, Davis, Lodi, Stockton and all other surrounding cities in Northern California. Thank You for considering Yolo Eco-Clean Co-op as your cleaning service provider. We specialize in Excellent Service using Environmentally Responsible Products and Practices!! YECC provides cleaning services for homes, offices and businesses throughout Yolo County and neighboring communities. We offer a range of cleaning related services. Our business features “health” from the inside out. We use only natural cleaning products that are effective yet kind to the environment, people and pets. Many traditional cleaning products contain toxins that contribute to asthma, skin irritations and a range of other general ailments that worsen with prolonged exposure. Our products are gentle and pure—kind for our planet and everyone in it! Woodland Housecleaning Referral Agency provides general housecleaning services to busy people in need of a little help around the house. The Agency’s mission is to provide its clients with professional, quality housecleaning services with a personal touch, at an affordable price. Our main goal is to stand apart from the huge conglomerate-type companies that are the current trend, and return to the basics – Friendly, personal service that meets the specific cleaning needs of each and every individual client. Rugs are no different than carpet when it comes to the amount of dirt, dander and allergens that they attract and trap, which means you should also be cleaning rugs regularly to keep your Fair Oaks, CA home fresh. The plus side is that unlike carpeting, area rugs can be removed and sent out for thorough cleaning if desired. Rug cleaning can also include repair work as needed, like complete re-weaving or foundation patching. 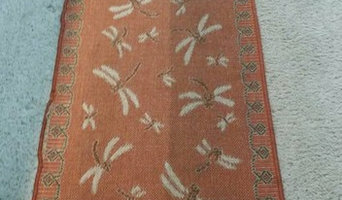 Make sure the local Fair Oaks, CA rug cleaner you choose has experience with the types of rugs you need serviced, especially if they are hand-woven or Oriental. Read further to learn more about the process of rug washing. 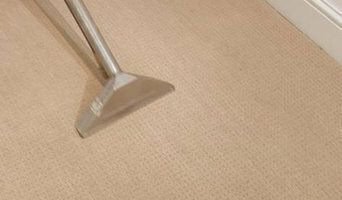 How does professional rug cleaning in Fair Oaks, CA work? 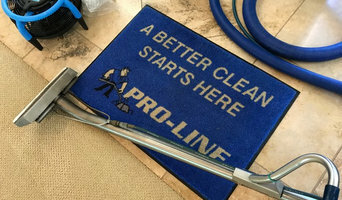 For in-home rug cleaning services in Fair Oaks, CA, most companies use the hot-water extraction method, commonly known as steam cleaning, like they do with carpeting. All you have to do is secure pets and put away anything valuable in the surrounding area and the professional rug cleaner near you will handle the rest.